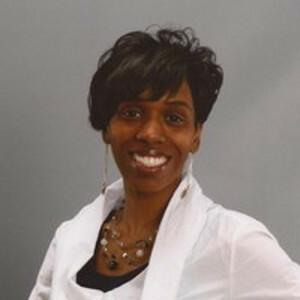 Katrina J. Wyche has been in the substance abuse prevention field over 20 years on a volunteer and professional basis. Wyche is currently pursuing a Doctorate of Education Leadership (D.Ed. ), with a focus on Cross-Cultural Leadership and Organizational Development & Design from Xavier University. She has been an Associate Trainer for Faith Partners for a number of years, served as a member of and trainer for the Reviving the Human Spirit Planning Committee and is trained to deliver the 40 Developmental Assets training for communities, schools, and congregations. She has helped facilitate the integration of 40 Developmental Assets and other Substance Abuse Prevention frameworks into the work of community coalitions, organizations, and congregations in Cincinnati, Kentucky, and Indiana. She served on the board of directors for the Alcohol and Drug Prevention Association of Ohio. Wyche also is the Co-developer of the Building Prevention with Faith: A Faith-Based Substance Abuse Prevention Toolkit. Wyche is also trained to facilitate Prime For Life, Botvin’s Life Skills, Keeping It Real, Stacked Deck: Problem Gambling Prevention, Minimize Risk and Maximize Life – Adult Drinking Prevention/Intervention Program, Celebrating Families!, and the Substance Abuse Prevention Skills Training by the Substance Abuse and Mental Health Service Administration (SAMHSA).